By comparing the product prices between 2 chemists/pharmacies, Chemist Warehouse is the cheapest. It is $70.01 (64 %) cheaper than next price leader (TerryWhite Chemmart). The current price at $39.99 is the lowest among competing chemists/pharmarcies since 24 Mar 2018. 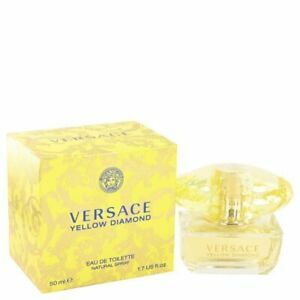 Similar product Versace Yellow Diamond by Versace Eau De Toilette Spray 1.7 oz / 50 ml (Women) can be found at ebay Australia at $124.45.